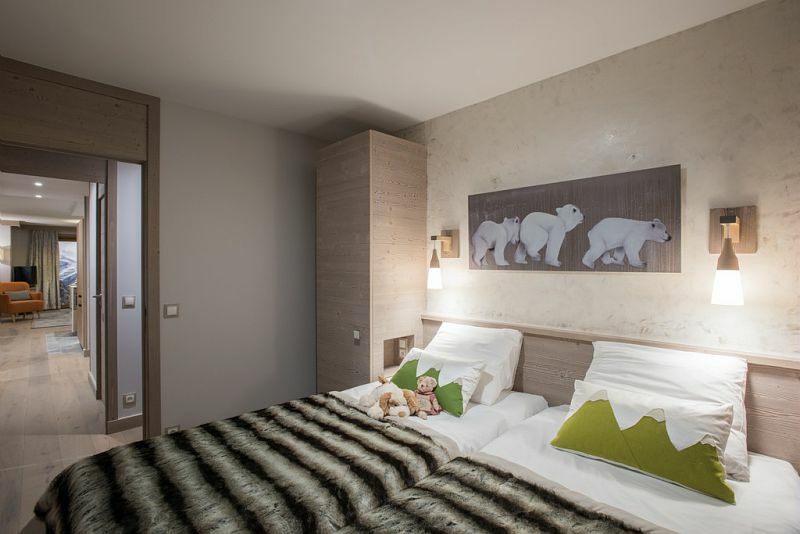 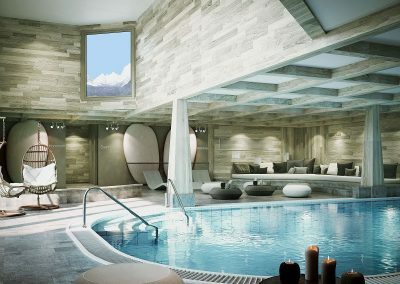 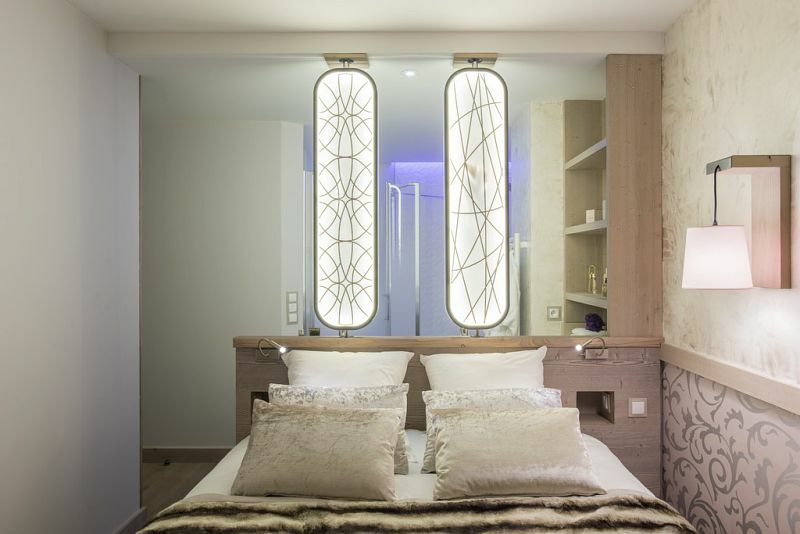 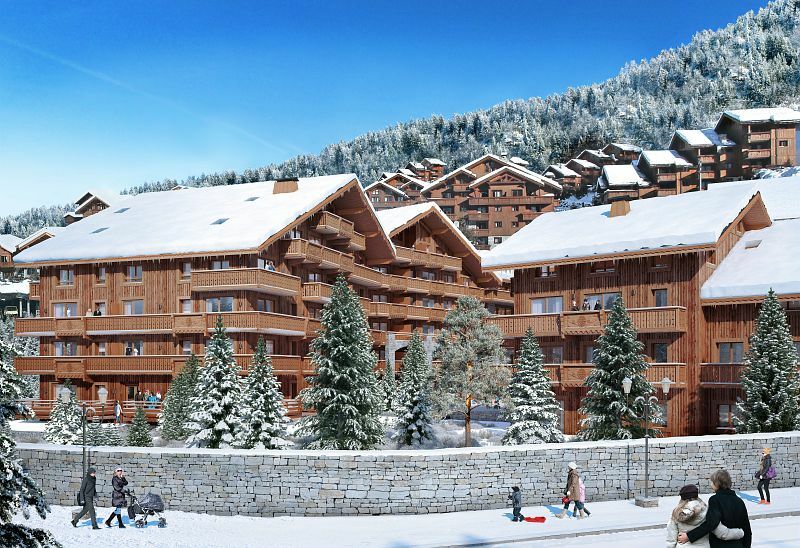 5 star premium residence in the heart of Meribel. 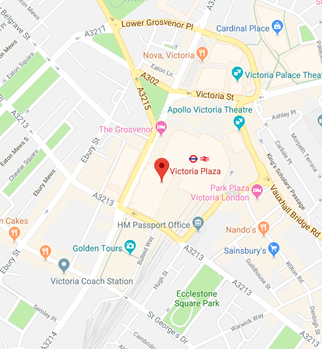 Unique opportunity to invest in a rare new built programme for this exclusive location. 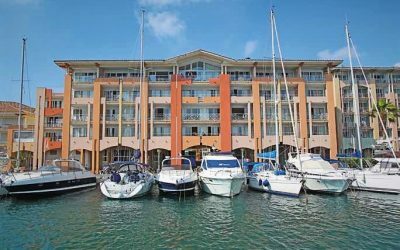 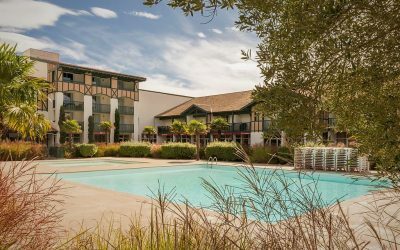 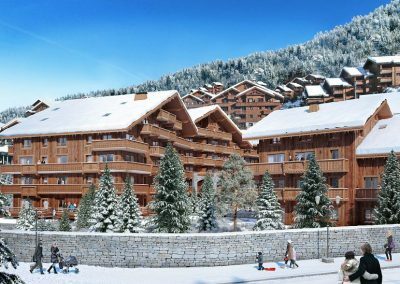 Buy as a second home or Hassle-free, fully managed investment by France’s leading management company. 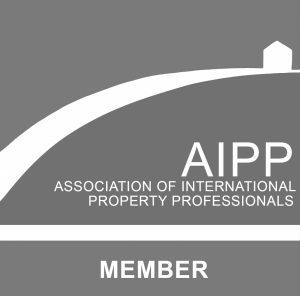 A programme with strong financial value, exclusive workmanship, quality environment and services. 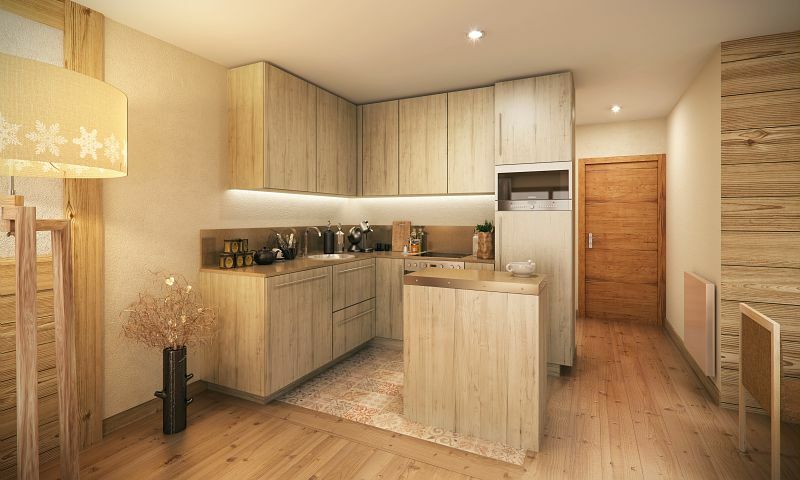 95 high spec 1 to 3 bedroom apartments each with balcony or terrace, of which 17 Exclusive 2 to 3 bedroom apartments with added private sauna and fireplace. 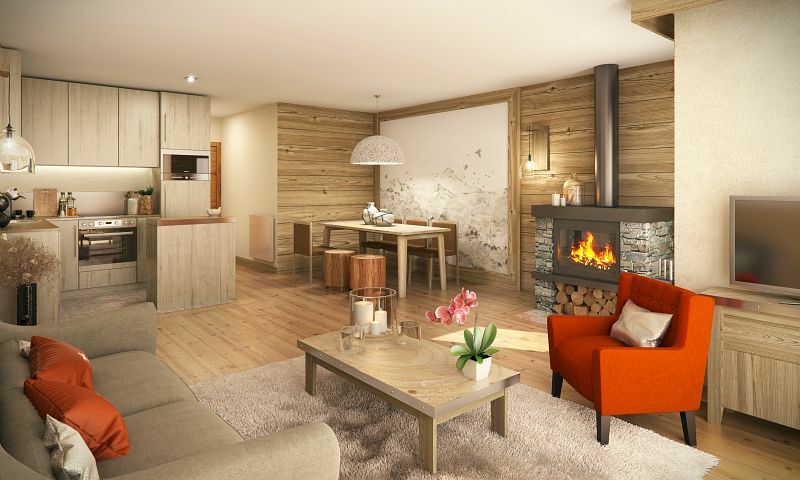 Price range from 309,250 Euros to 1,130,250 Euros. 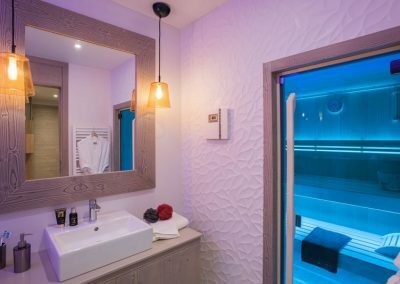 Amazing facilities including indoor pool, spa, outdoor jacuzzi, fitness suite, restaurant, piano bar with terrace, free Wifi. 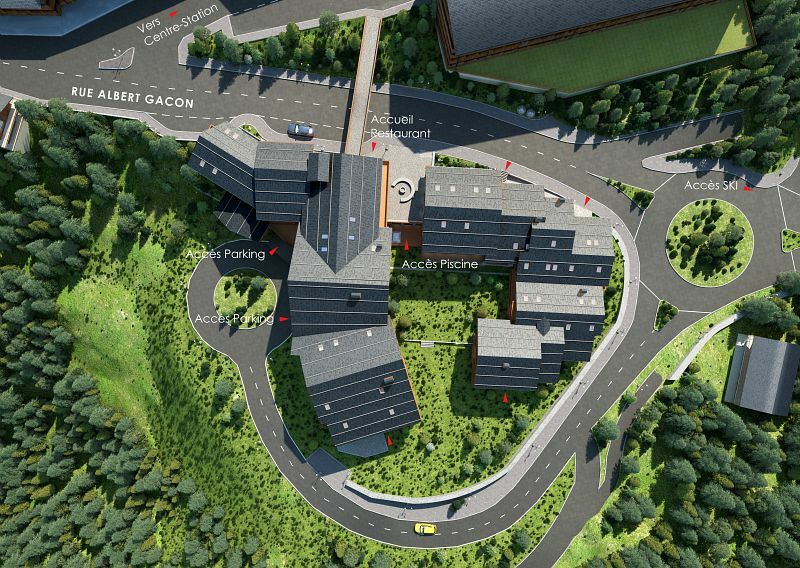 Underground car park with direct access to the apartments. 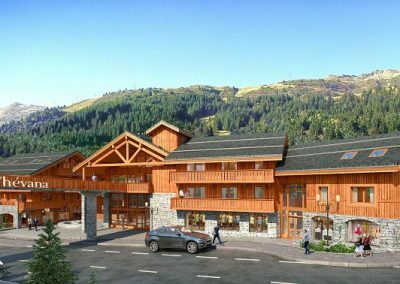 Close to the ski slopes and with a direct pedestrian passageway to Meribel’s main shops and services. 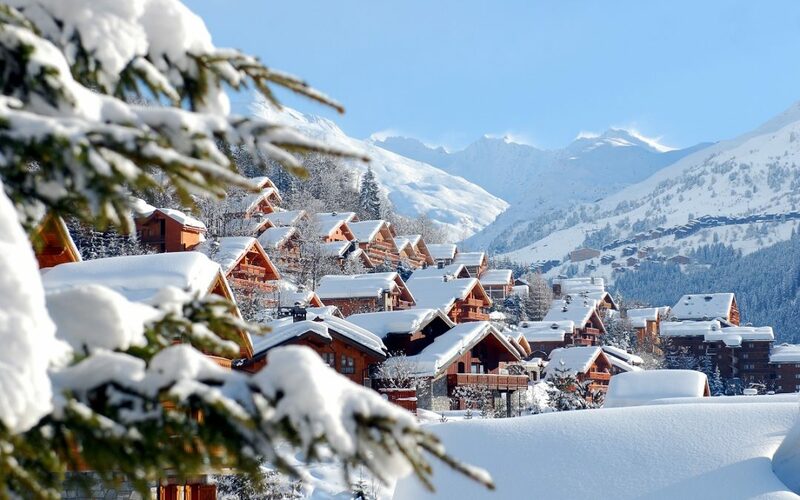 Meribel is the gem of the northern alps. 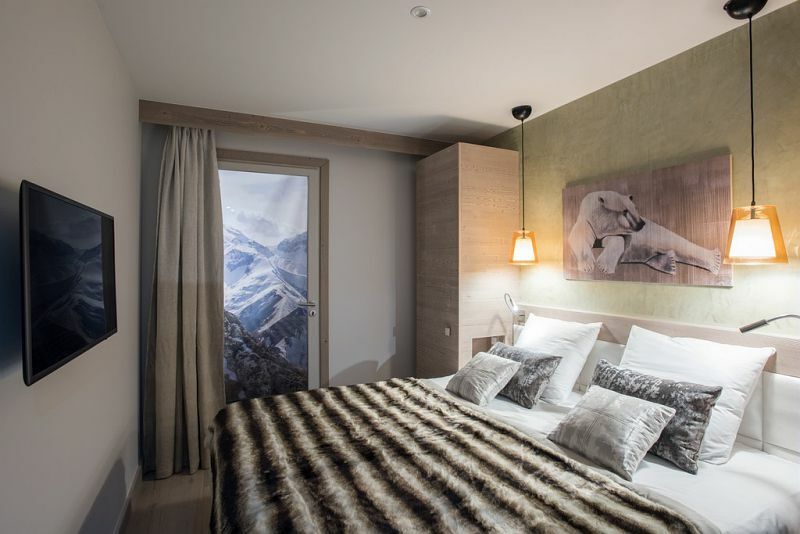 It represents the quintessence of the ideal ski resort with its picture-postcard chalet architecture, stunning mountain scenery and forest setting, vast skiing area and dynamic after-ski life. 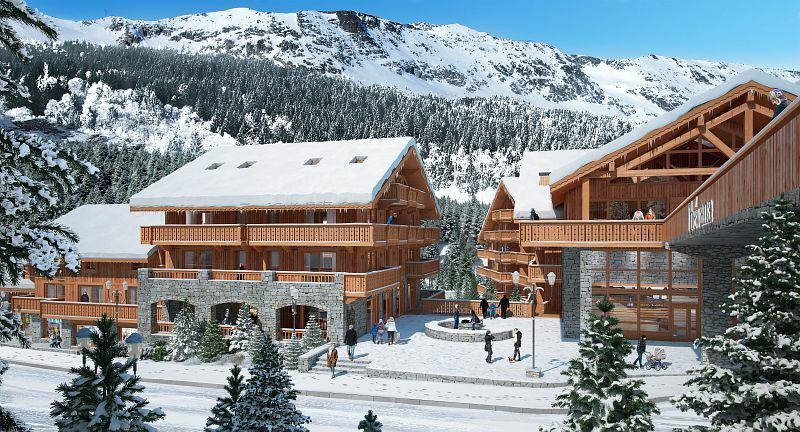 Meribel has it all. 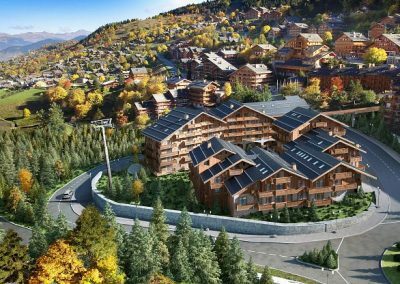 Its latest asset will be to host, combined with Courchevel, the Alpine Ski World Championship of 2023. 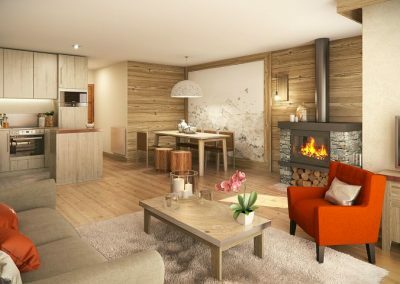 Easily accessible 2 hours from Geneva or Lyon, 20 min from TGV station, it has retained all the charm of an alpine village with its chalet-style wood and stone buildings throughout the entire resort. 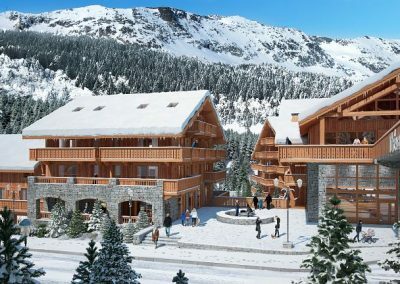 Meribel is sporty with its superb location at the heart of the 3 Valleys, one of the world’s largest ski area. 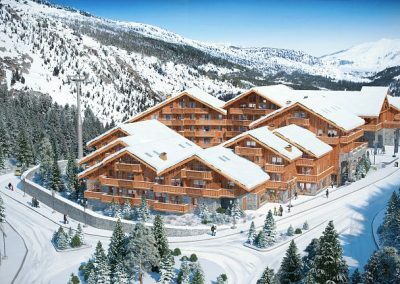 It benefits from guaranteed snow coverage with more than 85% of its ski area at above 1800m altitude. 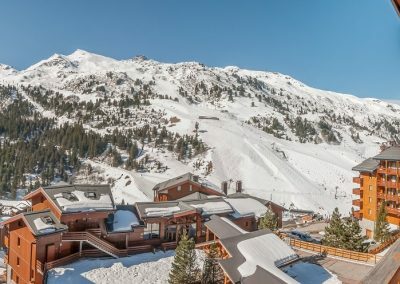 Any type of skiing or snow sport suited to all level is practiced here. 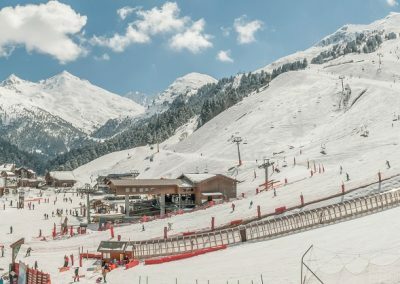 Its fast, modern ski lifts offer easy access to the Meribel valley ski area (150km of pistes) and connection to the 3 Valleys, with its 600km of pistes and unlimited off-piste. 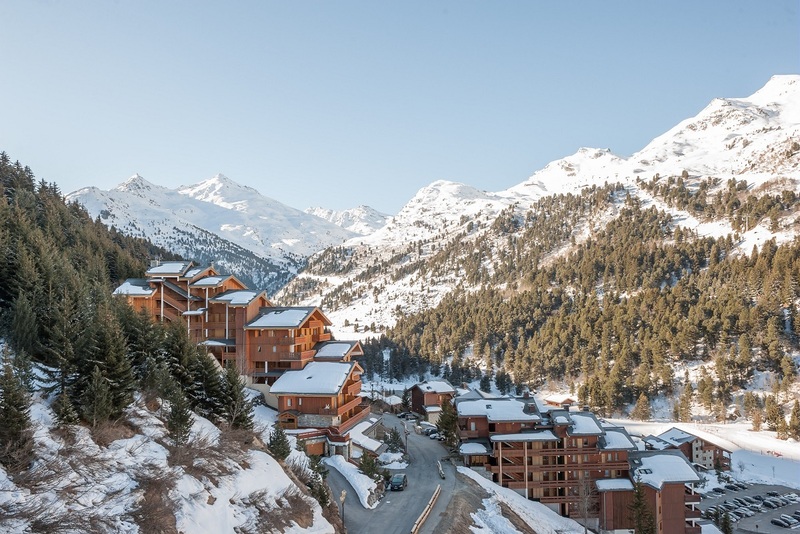 In the summer, Meribel keeps its charms with its numerous mountaineering, hiking and horse riding trails spread across the domain, ready to be explored. 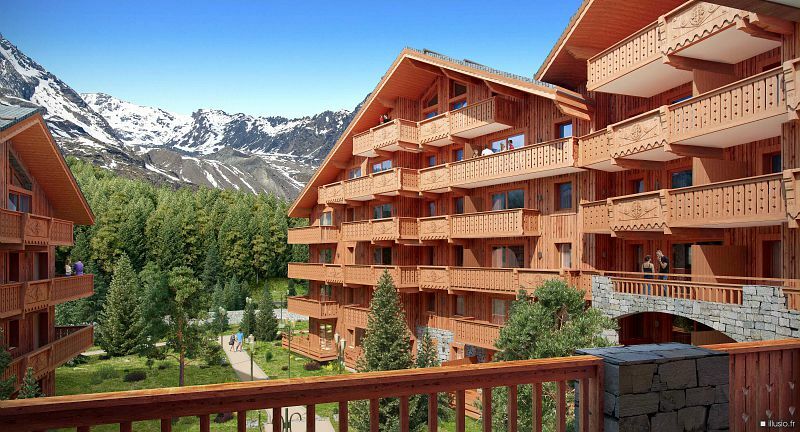 It also enjoys one of the most beautiful 18-hole golf courses in the Alps, nestled along the forested slopes. 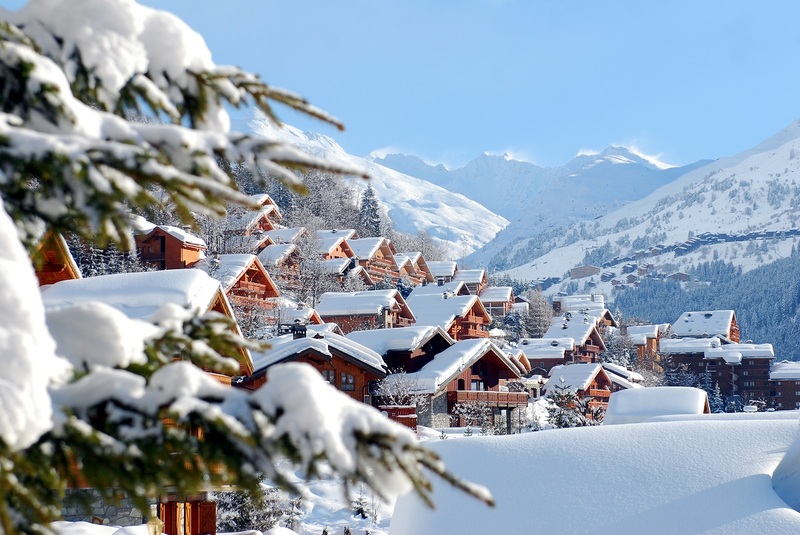 Meribel is a vibrant resort spread out over 15 villages and split into five districts with an altitude ranging from 1,100m to 2,950m. 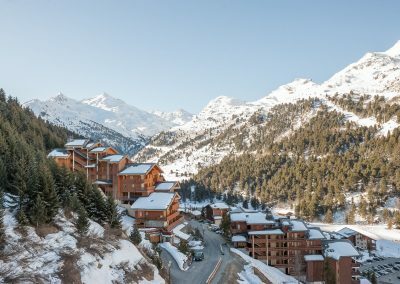 Meribel Centre is at the heart of the resort and home to the main shopping area and the greatest selection of apres-ski bars and restaurants. 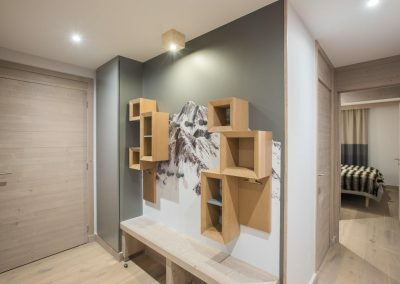 The bi-weekly street market adds charm and tradition to the town centre. 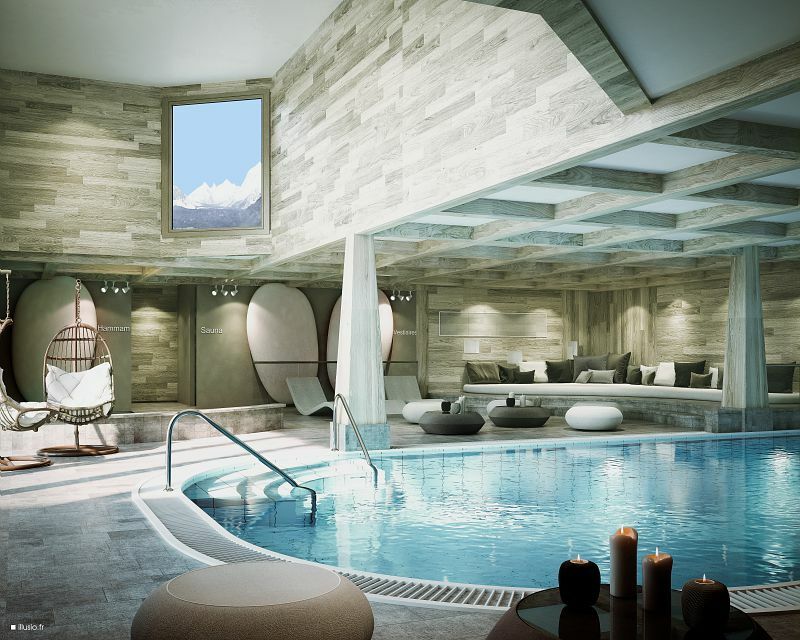 There is also an Olympic Centre offering lots of different activities for your après-ski, including pool, spa, ice-rink, gym and climbing wall. 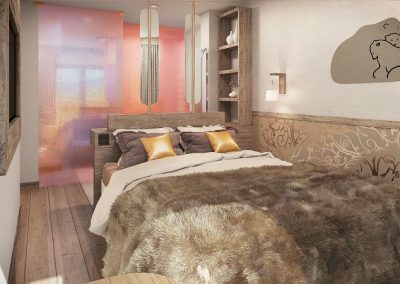 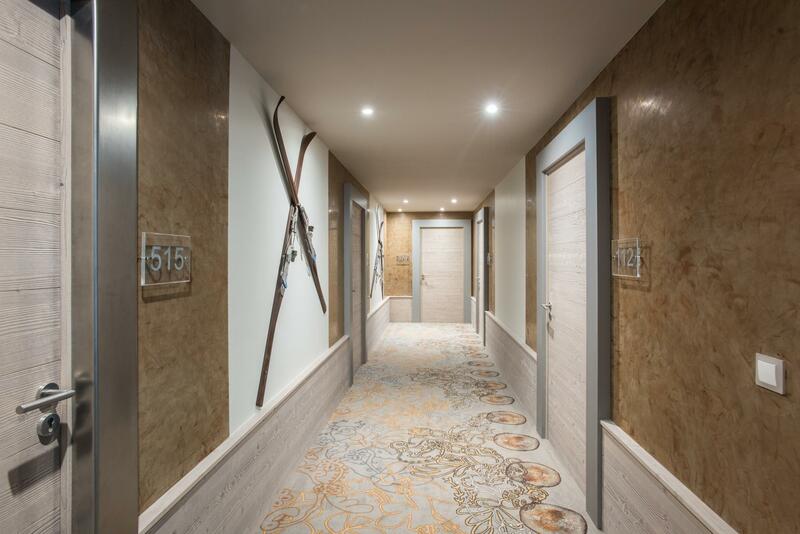 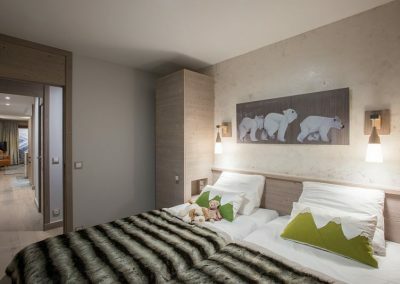 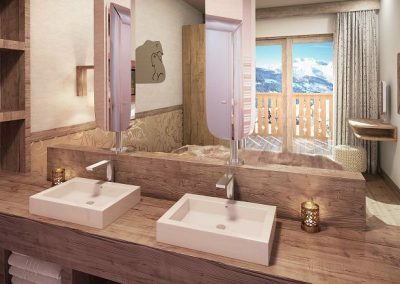 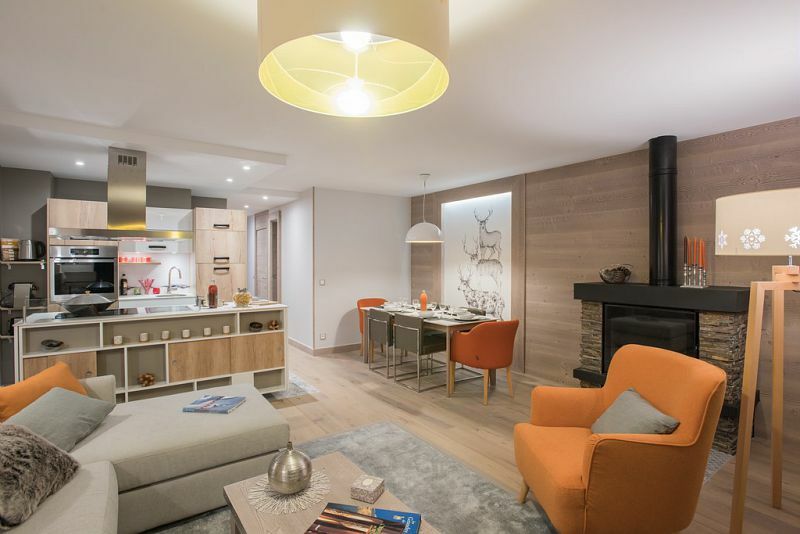 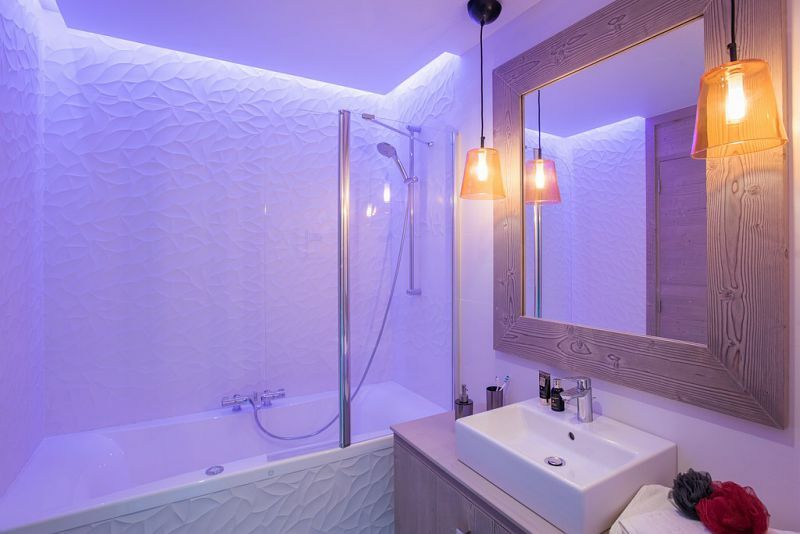 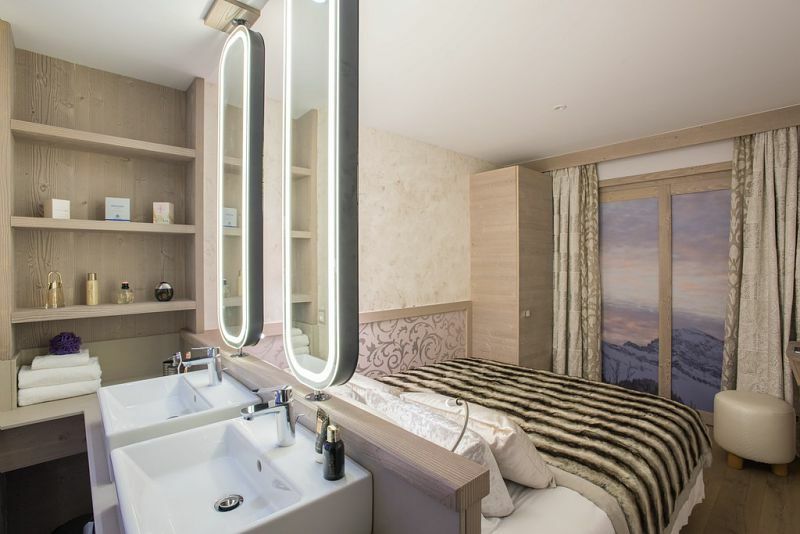 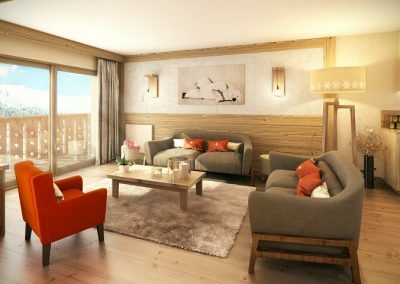 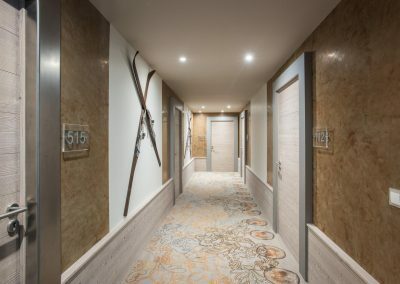 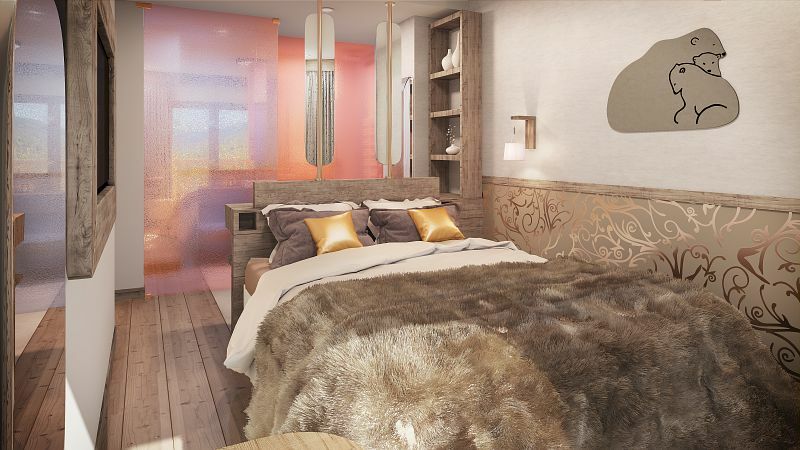 Situated in an exclusive location at the heart of Meribel Centre, this new luxury residence, l’Hevana, has been created to the image of a village composed of 5 hamlets, with a pedestrian footbridge leading directly to the town centre. 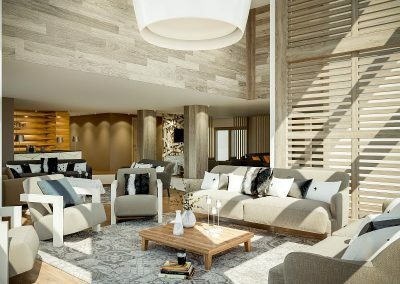 L’Hevana combines tradition and modernity, whose lines blend into the environment and whose architectural style reflects of Meribel: structures made with local stone, wooden facades and sloped slate roofs. 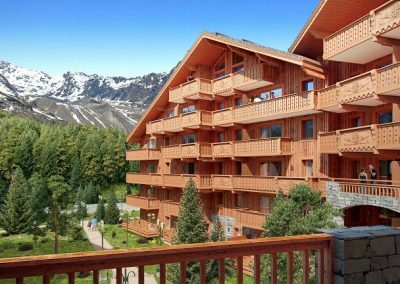 This contemporary 5 star residence offers a friendly chalet life in a serene, luxurious and elegant atmosphere. 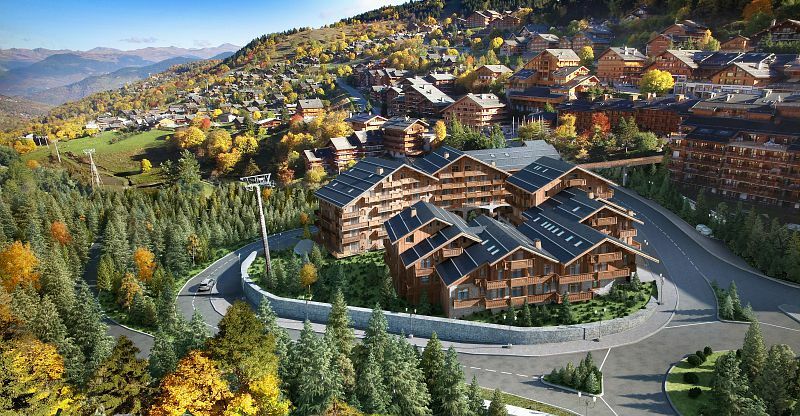 It is to become THE reference for future prestigious mountain residences. 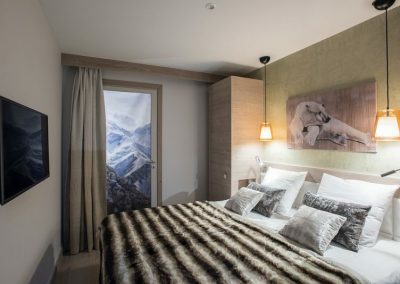 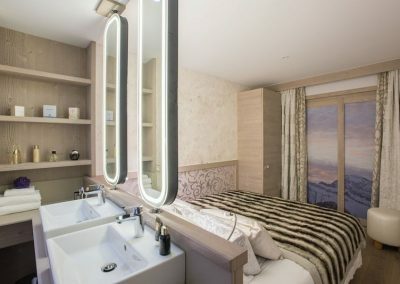 The residence is located close to the ski slopes and further enjoys an indoor swimming pool, outdoor jacuzzi, spa, a stylish restaurant, a piano bar with a large terrace, fitness suite, ski boutique, Free wifi and car parking beneath the residence with direct access to the apartments. 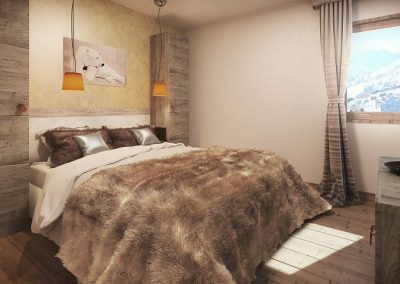 There are 95 apartments, all designed to the highest specifications with beautiful living spaces, each benefiting of a balcony or terrace. 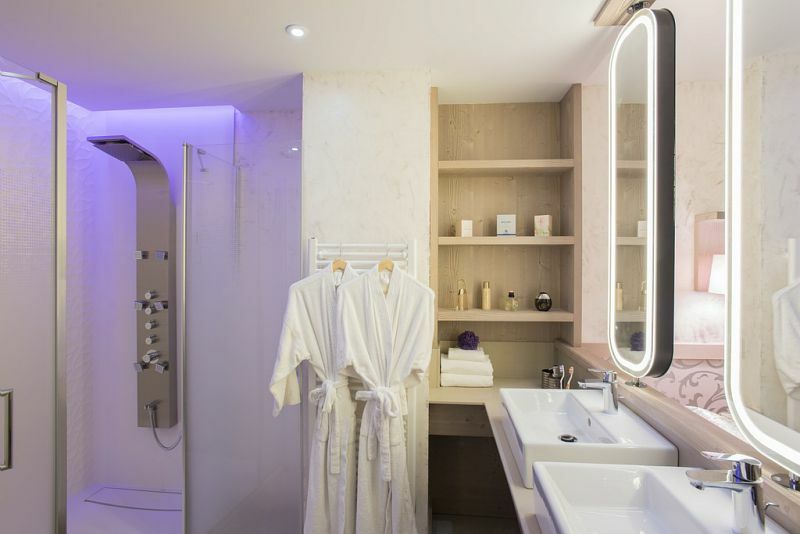 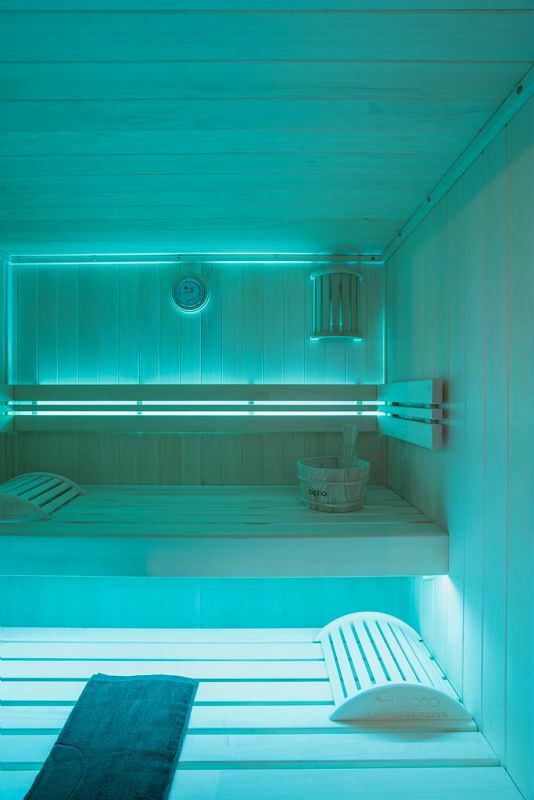 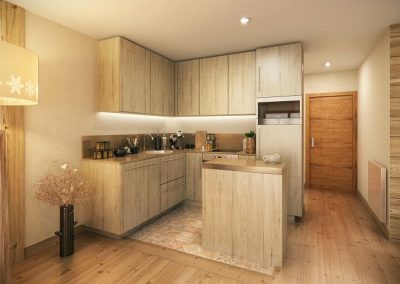 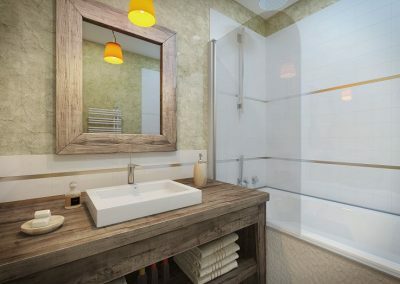 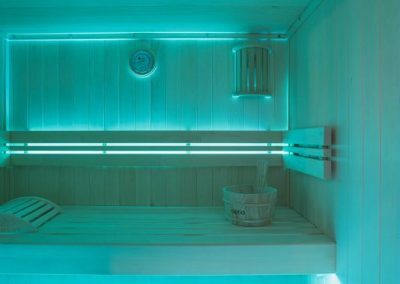 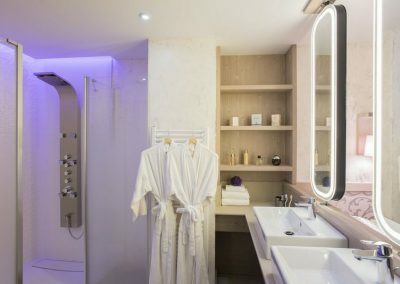 The apartments range from 1 to 3 bedroom with a limited ‘Exclusive’ range of 2 and 3 bedroom apartments which have the added luxury touch of a private sauna and fireplace. 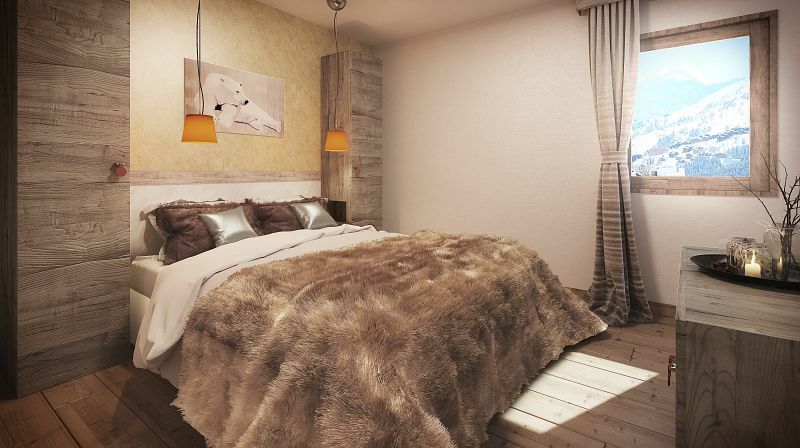 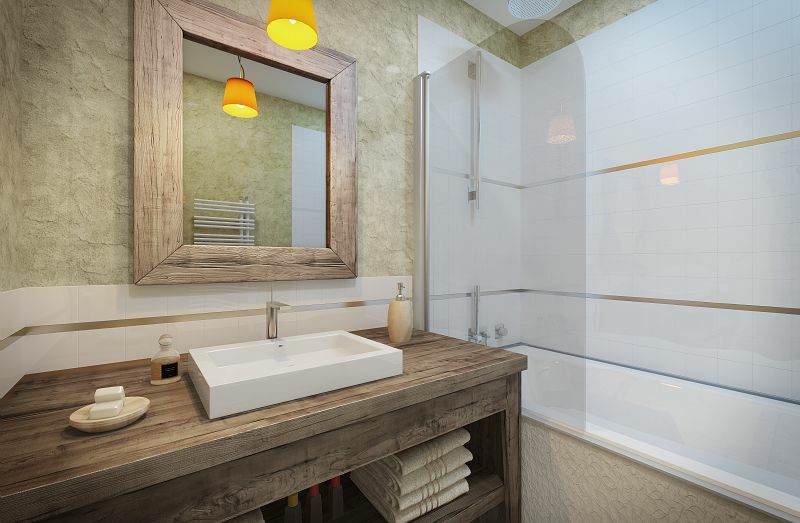 1 bedroom apartments between 37 – 50 sqm. 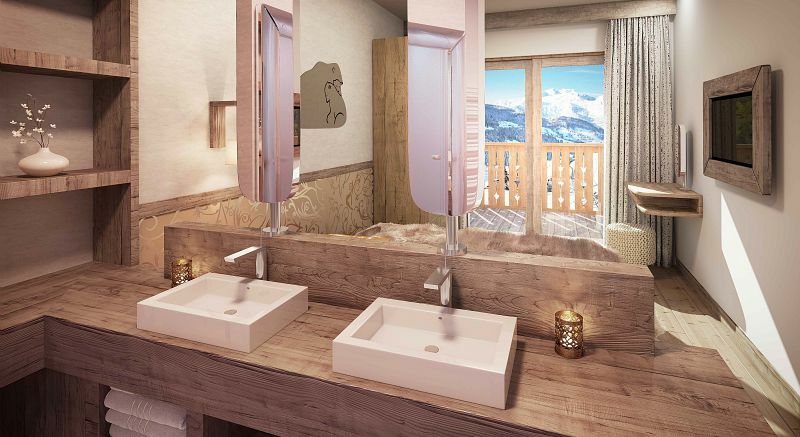 Price range from 309,250 to 518,250 Euros. 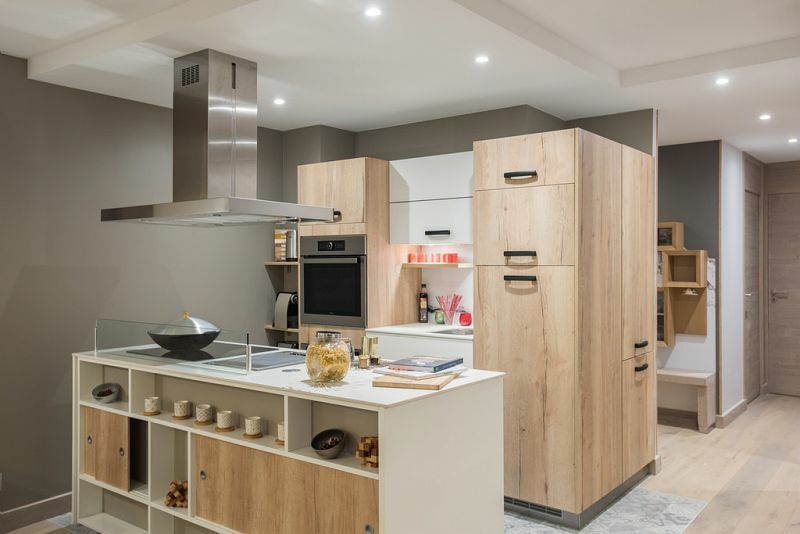 2 bedroom apartments between 52 – 74 sqm. 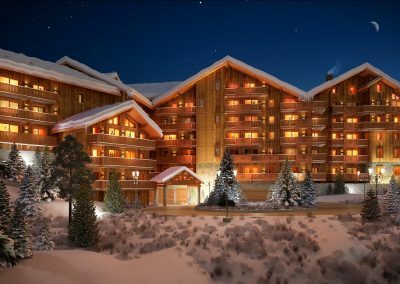 Price range from 457,833 to 699,000 Euros. 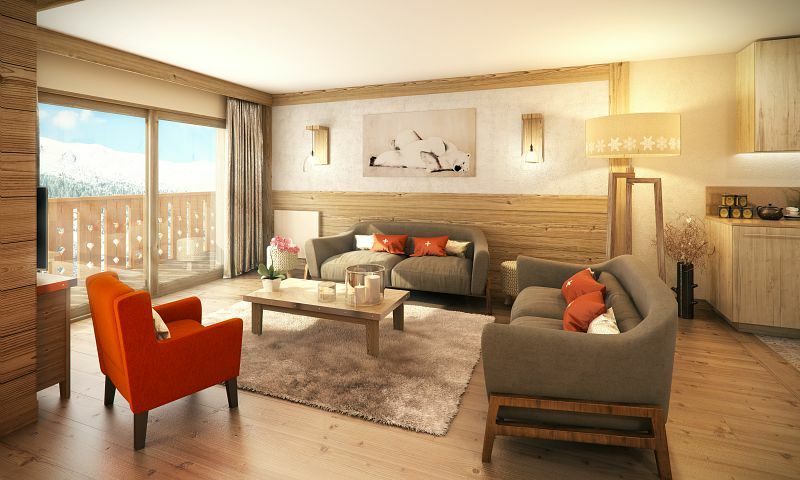 Exclusive 2 bedroom apartments between 65 – 70 sqm. 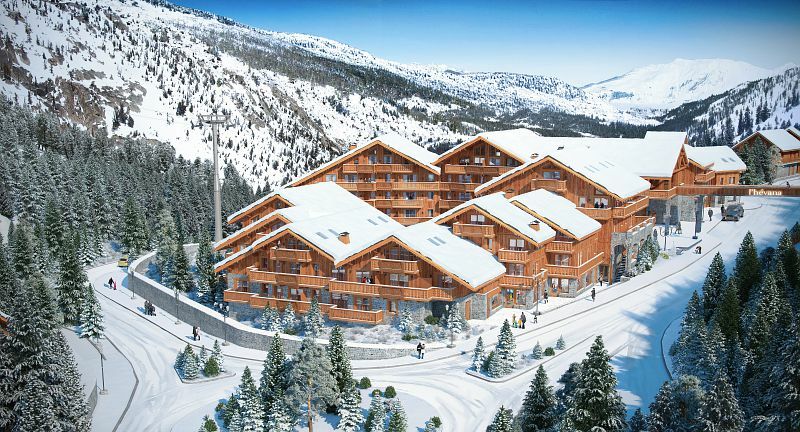 Price range from 589,167 to 736,000 Euros. 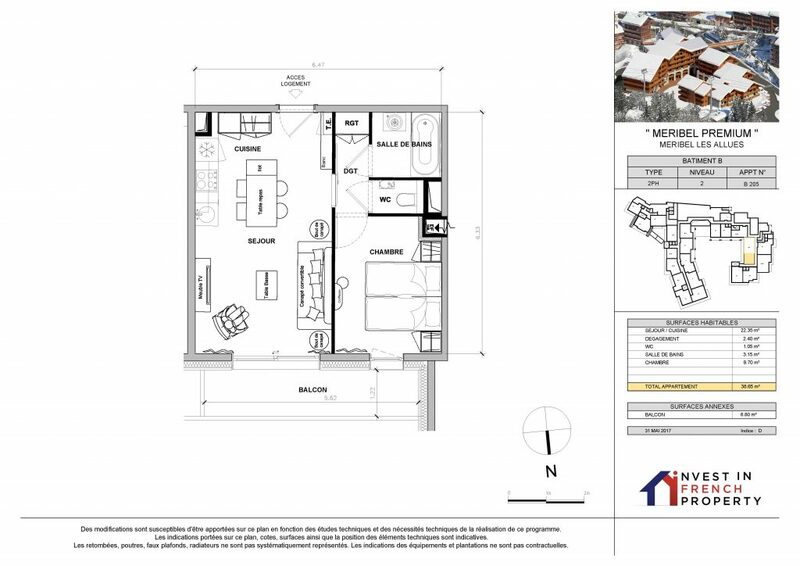 3 bedroom apartments between 70 – 98 sqm. 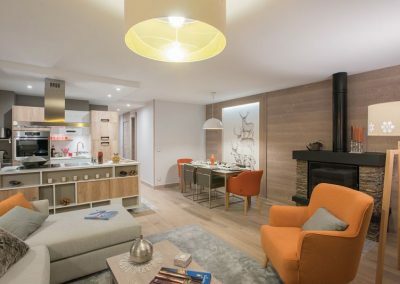 Price range from 641,417 to 835,833 Euros. 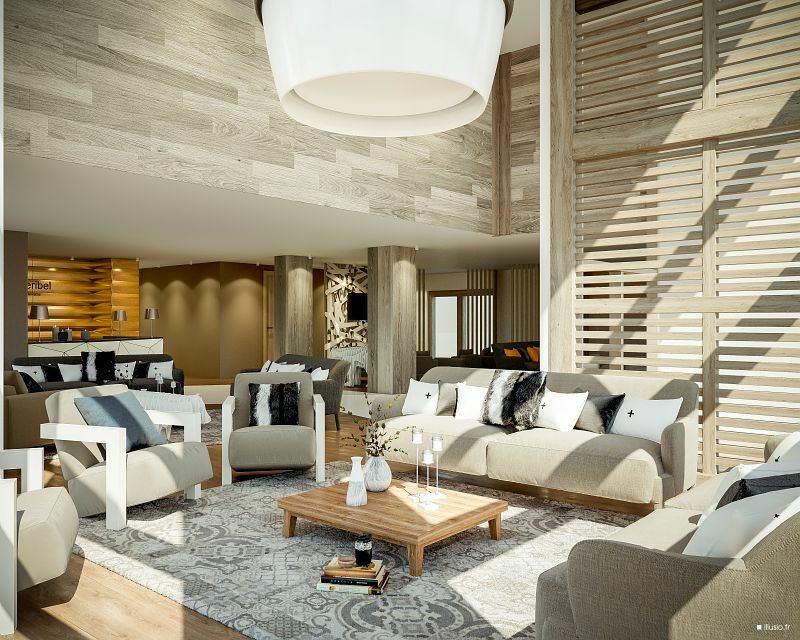 Exclusive 3 bedroom apartments between 87 – 112 sqm. 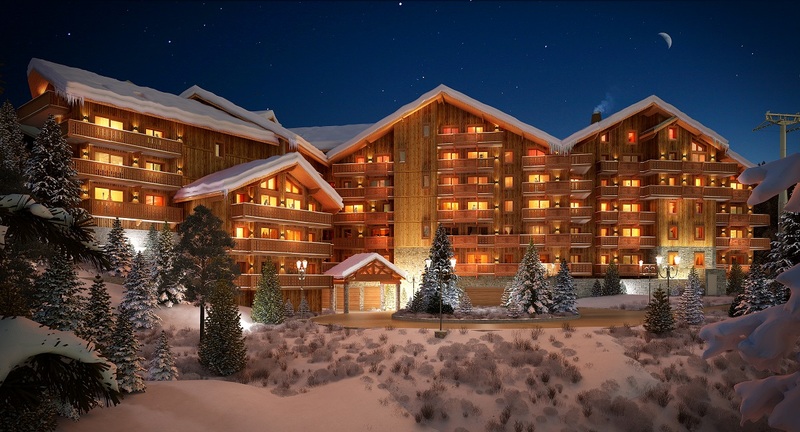 Price range from 865,750 to 1,130,250 Euros. 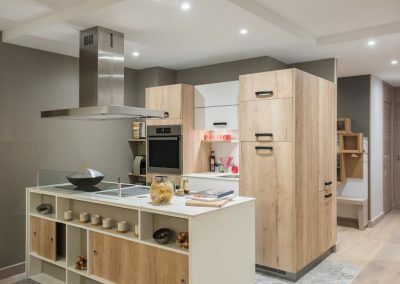 PRICES quoted are EXCLUDING of VAT. 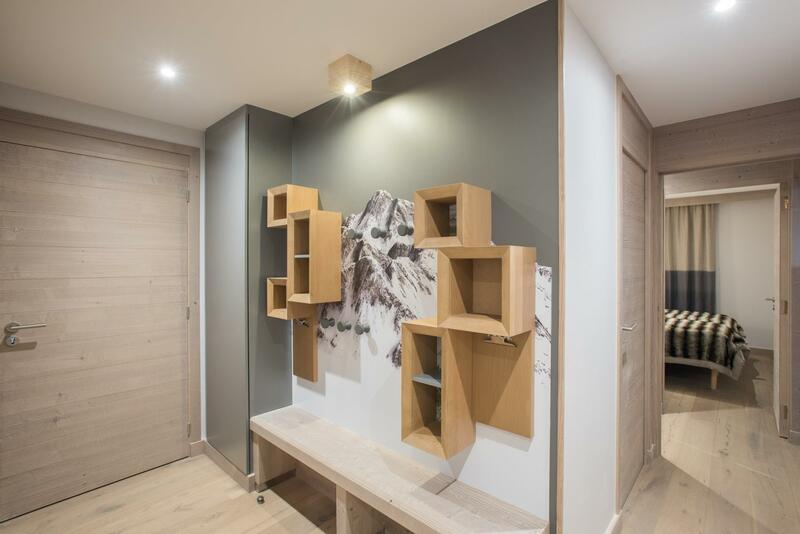 Furniture and parking to purchase separately. 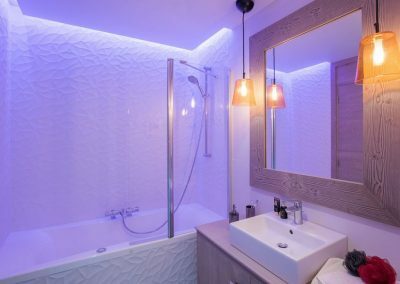 Please enquire for the latest availabilities.